Analyze your source code. Order by cloud readiness. Transforming your existing applications to be cloud-native used to be a daunting task. With large application portfolios and little information about the underlying codebases, teams get stuck in analyis paralysis. This pain led cloud teams to wait for the next green-field project to come along and be the "low-hanging fruit to test cloud-native" deployments on. Lift-and-shift, then transform? There is a better way! 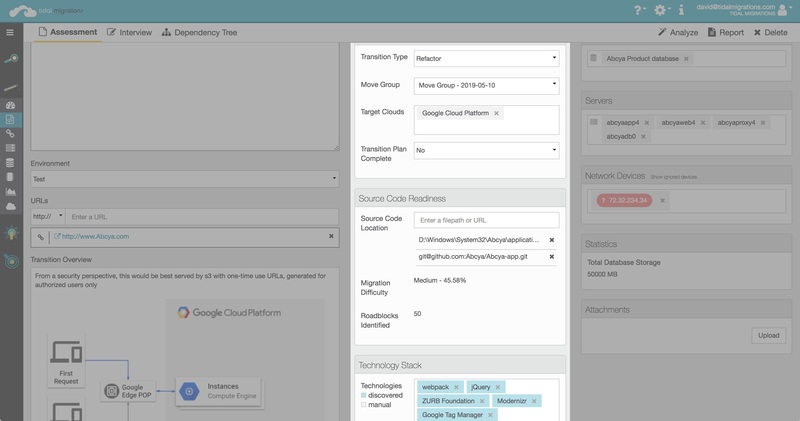 With Tidal Migrations source-code analysis, technology fingerprinting and dependency mapping, you will have all the details at your fingertips for moving more rapidly towards cloud-native. Identifying the application's source code repositories is built in to our interview feature, allowing you to capture one or more codebases from the application owners or development team. 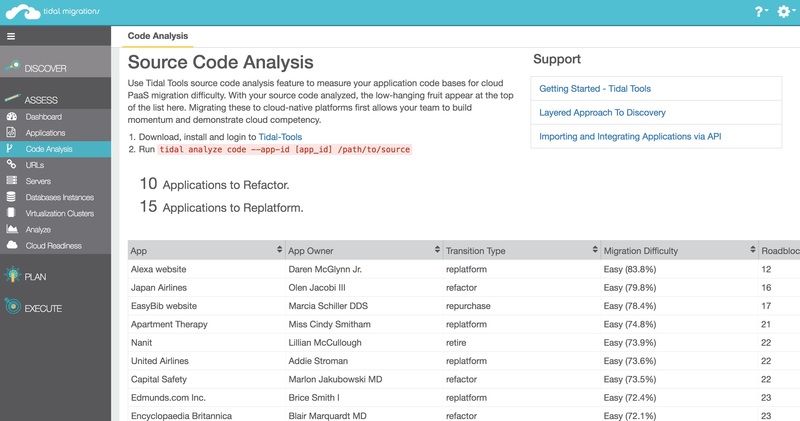 Whether your team uses github, VSTS, bitbucket or even a fileshare (gasp), you can tidal analyze your source code with tidal-tools, allowing you to rank your application portfolio by Cloud Readiness in minutes. Your code is your code and we never see it. Our command line utility does all the heavy lifting on your machines and uploads only the results of the analysis to our platform. This is called static source code analysis and it is powered by the industry leader, CAST (since 1990). Find the low-hanging fruit today!